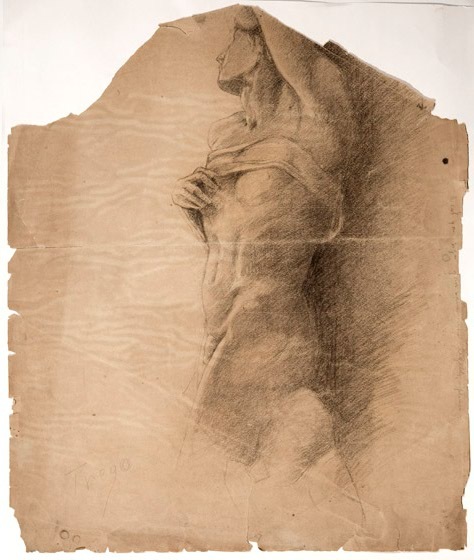 This sketch was likely done while Trego was at the Pennsylvania Academy of the Fine Arts which, then as now, included a copy of Michelangelo’s “Dying Slave” in its collection of plaster casts. The handwriting in the margin has not been identified, but it would seem that one of the instructors at the academy felt that Trego’s control of line did not apply to his handwriting. The paper is discolored and brittle, and several pieces are missing on the right-hand side. It is possible than any signature was on a section now lost.